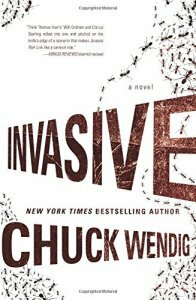 Invasive, Chuck Wendig (Harper Voyager 978-0-06-235157-9, $25.99, 352pp, hc) August 2016. Chuck Wendig’s Invasive, which is about killer ants (sort of), is a companion (also sort of) to Zer0es, which was about killer hackers (mostly (but not really)). Both are rich, darkly funny page-turners with details designed to make those little hairs on the back of your neck stand up with how plausible they seem. 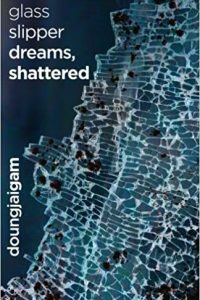 This time the protagonist is Hannah Stander, the FBI futurist, whose sole job is to ‘‘imagine the worst. To look far down the road to see what’s coming, what technology, what social system, what change to nature will humans face? Will it elevate and evolve us? Or will it destroy us?’’ She’s called by Agent Hollis Copper to a cabin in the woods, one where an oddly chewed body lies. Scattered around and in said body are hundreds and hundreds of equally dead ants. Stander is launched on a fact-finding mission that takes her to a biologist friend, then to Kauai, where an eccentric, future-obsessed tech-billionaire has a research compound. There’s also an incoming tropical storm and just when you think the tension can’t ratchet itself up any more, it surely does. Then it does it again and again. While the plot is propulsive, Wendig gives it unexpected depth. 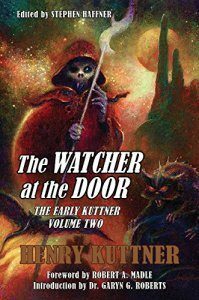 Stander’s backstory is masterfully intertwined with the current story. The echoes between Stander, her mom, and the current situation of a potential global catastrophe make each element greater than the sum of its parts.